Fifty years ago, Robert F. Kennedy was assassinated while campaigning for president. He had become a figure of tremendous moral authority who was able to speak across America’s social and racial divide as few others could. 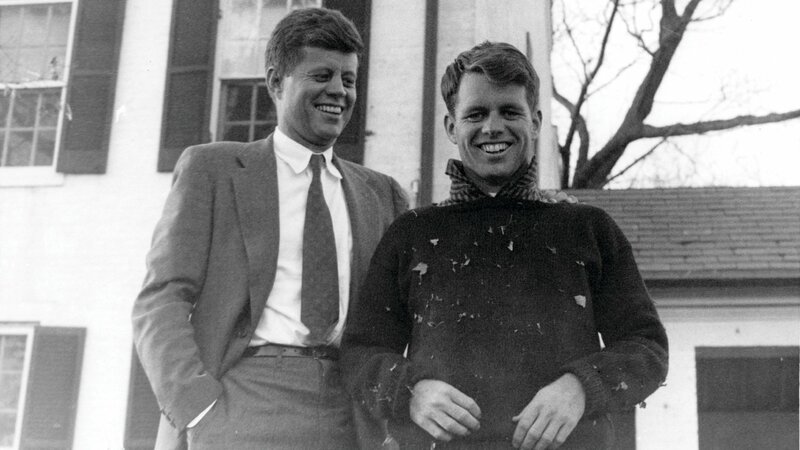 What does Kennedy’s legacy mean in today’s political climate, and what would he have made of the divisions in the country? We speak with his daughter Kerry Kennedy, president of the nonprofit Robert F. Kennedy Human Rights, whose new book “Robert F. Kennedy: Ripples of Hope” pays tribute to her father’s life and legacy. Below, an excerpt from the book’s preface. Think of John Kennedy, Lyndon Johnson, or Richard Nixon. Each, in his own way, is firmly set in a certain era of American history. Yet, as vibrant as they were at the peak of their power and influence, none of these men could easily slip into the contemporary political world. Their leadership was unique to their time and place. That conclusion does not ring true for my father, Robert Kennedy. His appearance is ever modern: the shaggy hair, the skinny ties, the suit jacket off, the shirt sleeves rolled. Beyond appearances, what is striking about RFK are the themes he returned to again and again—themes that still energize the debate and resonate in our own time and place. Think of the headlines over the past few years, and it is easy to hear Robert Kennedy’s voice and imagine him speaking out in our country as he did 50 years ago—on the madness of gun violence, the shame of police brutality, the need for compassion in welcoming immigrants and refugees, the urgent need to defy the call to war and where war has broken out, to seek peace; the focus not only on stopping terrorism, but of understanding and addressing its root causes; the destructive force of hate, the disillusionment of young people, the inherently injustice of a criminal justice system which discriminates based on race and class, where thousands go to jail simply because they are too poor to make bail—the New Jim Crow; and the duty to address the struggles of those who are not in the headlines, the most vulnerable among us: farm workers, small farmers, workers who long since saw factories and the jobs that supported them replaced by cheap labor or, more recently, technology, Native Americans, those suffering in the hollers of Appalachia, on the Mississippi Delta and in the most destitute slums of our great cities. Bobby Kennedy’s presence was grounded not only in policy, but most especially in values, values that never waivered, values that stand in high contrast with too much of our political leadership today—integrity, courage, faith, humanism, patriotism, all tempered by curiosity, children and dogs, laughter, fun and, most especially, love. Harvard Football Team was allowed to stay in the same hotel as the rest of the squad. He bravely took on Father Feeney, the anti-Semitic chaplain at Harvard who spewed hate, for insisting there is no salvation outside the church. Feeney was later excommunicated. My father travelled to Israel in 1948 and advocated for U.S. support for the new and beleaguered nation, surrounded by enemies. As a law student he invited Ralph Bunche, the first African American to win the Nobel Peace Prize, to speak at the segregated University of Virginia—and then successfully petitioned the UVA Law School to allow Bunche to speak before a mixed race crowd. Unable to find a hotel in the area that would take Bunche, Daddy and Mummy invited him stay in their tiny home, where they endured a night of white supremacists hurling racist epithets and Molotov cocktails. He joined the Rackets Committee and pursued union bosses like Jimmy Hoffa who were stealing from the rank and file. As Attorney General, he stood up to Bull Connor, Gov. Patterson, Gov. Wallace and other white supremacists on behalf of civil rights activists. When St. Edward County, Virginia, sought to avoid desegregation by closing all its public schools, RFK opened the St. Edward County Free Schools, imported volunteer teachers from across the country, and made sure that the black kids would receive an excellent education while the case wended its way through the courts. At Justice, he obtained legislation to reform juvenile justice where he saw children, mostly of color, the victims of a cruel system which pushed them to crime. His focus on poverty and his establishment, at DOJ, of the Juvenile Delinquency Committee, led to the establishment of VISTA , Legal Aid, mental health centers, youth development projects, neighborhood services, and the foundation for what would become the War on Poverty ( See Arthur Schlesinger, RFK and his Times, page 639). For the first time in history, he ordered the Justice Department to resolve Indian land claims rather than fight them. As senator, his first legislation assured Puerto Ricans the right to vote in New York. He came to the aid of farm workers in California, miners in west Virginia, African Americans in Bedford Stuyvesant, and native Americans across the country.